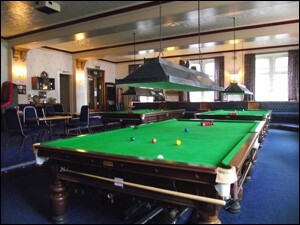 The club has 3 full size Snooker tables, plus a smaller (8’x4’) snooker table. Along with Darts facilities. And a newly refurbished sports / TV Lounge. Our members enjoy participating with 3 Snooker Teams. 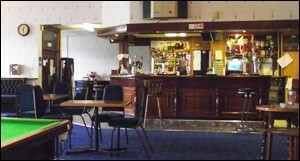 The Spirit’s bar features all the well known Brands as well as our House Doubles Section. The chill cabinets feature a fantastic selection of bottle lagers, ciders, beers and soft drinks to cater for all. 2 TV Lounges offering most sporting events. The club offers full membership to Male and Females over 18 at £14 for the first year and £10 thereafter. The Club welcomes Junior membership on request at £5 per year. Guests of members are always welcome upon signing in, and payment of a nominal charge. Guests are encouraged to make themselves members to take advantage of the full facilities the club has to offer! Membership is decided by committee who meet once a month.